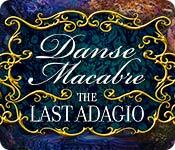 Danse Macabre: The Last Adagio is rated 4.1 out of 5 by 16. Rated 5 out of 5 by rpggramma from Good game!! Enjoyed this game, storyline was good. Graphics are very good. Journal very good, Has a great map with objectives, which is nice. Lots of HOs which are not too easy, but fun. Love the puzzles, Lots of them, with some that make you think and work! Only 5 chapter!s but they are long ! This is not a short game! Not gory, so have fun! Rated 5 out of 5 by canadiangirl94 from Twist on the Phantom of the Opera So you're supposed to meet your sister after her performance but she never shows. What happened? You go into the theatre and find out that the ghost of the composer who died in a fire 30 years earlier has taken her hostage as revenge for losing his true love who was a ballet dancer before she too perished. 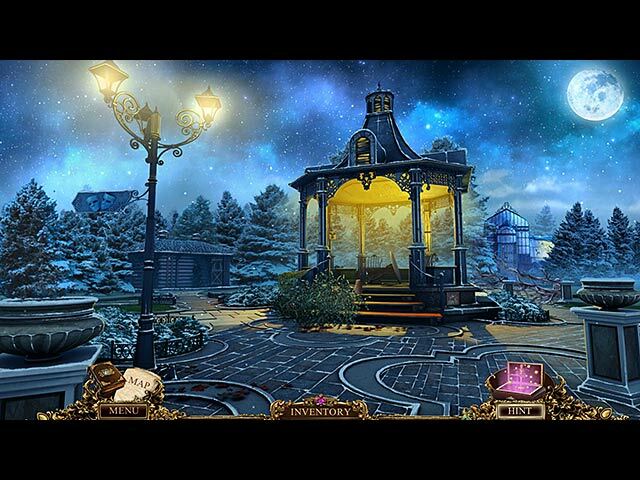 Very similar to the Phantom of the Opera however you have to uncover the details of the original love story to bring peace to the ghosts and save your sister. Rated 5 out of 5 by Yanie1020 from And Nice Music, Too! Eipix did a nice job with this one, including some very beautiful music, which always adds a lot to a game for me. I have no complaints about any aspect of this game. I liked it all. Puzzles were fun, nice HOS's, great graphics, etc. Voiceovers were good, too. Could have been a little longer, but not bad. Rated 5 out of 5 by tutortime from Really nice game. Enjoyed playing this game. The story line was very interesting and the graphics and scenes were beautiful. Mini games were good and a map allowed you to move quickly between different locations. Rated 5 out of 5 by barbaraminor1954 from GREAT !!!! I really enjoyed this game.I also played the CE when it came out so I have been waiting impatiently for this version to come out. Rated 5 out of 5 by pennmom36 from Donatella de Fiore The ballet is over and you patiently wait outside for your sister, the star of the famous ballet that hasn't been performed in 30 years, not since the composer and several people perished in that horrible fire. What concerns you now is the whereabouts of your sister who specifically asked you to meet her after the ballet, where could she be? (apparently she didn't offer any tickets) This is a beautiful game centered around the theater and it's haunted tragedy, it's curse! 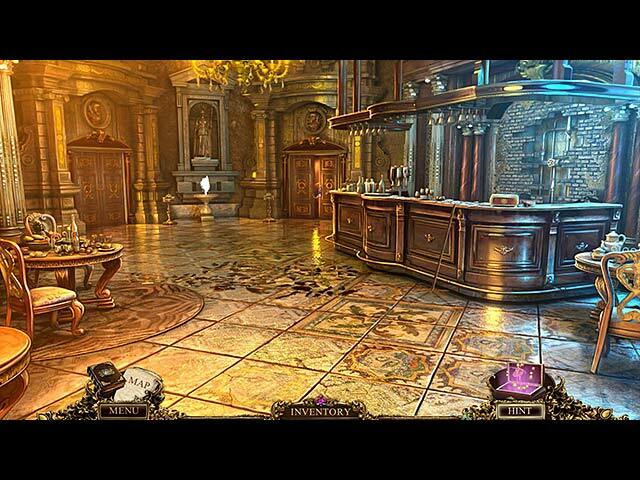 The hidden object scenes are a mixture between interactive list finds such as putting a hammer head on the handle, and some are finding items that match the silhouetted shapes. There are several mini games and they aren't going to make you wish for the skip button to fill up. Some are matching two of the same numbers by flipping buttons two at a time, you also had to follow the directions for the safe combination and choose which direction to turn the dial. There are ghosts that will help you along the way, with the hope of breaking their curse so that they may move on, and you must help your sister from becoming part of this curse, part of the dance that never ends! Good luck, enjoy! Rated 5 out of 5 by rosekaufmann from MORE FUN THE LONGER YOU PLAY At first, I thought this game was just a middle-of-the-road production, but the longer I played, the more engrossed I became. 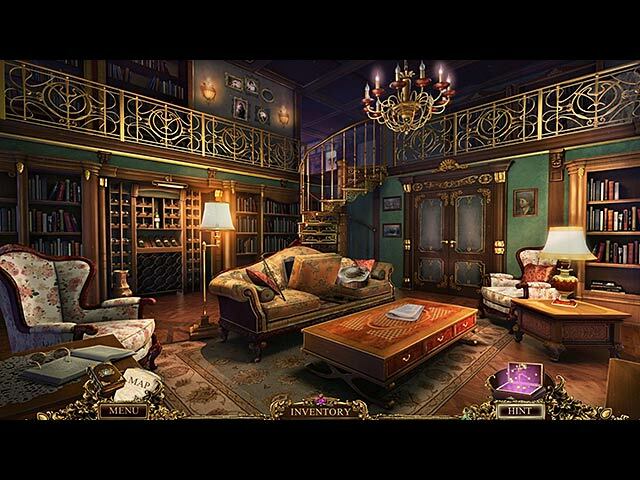 The story and events became more interesting - love mysteries. Your sister who is the lead ballerina is not in front of the theater as you had planned after her performance. The mystery increases from there. BASICS: customize your level of difficulty; good voice overs; play bubble shoot instead of HOS; unintrusive music; diary; map with objectives and active areas shown and good sound effects. GAME PLAY: The special effects are good, though not abundant. For some locations, you need to use several pieces of inventory in succession (ex: a ribbon, then an empty doctor's bag to hand on it and finally bricks to put into the bag in order to crash a door open). You combine objects where they are used, not in the inventory tray. HOS are list or silhouette-based and puzzles are different and can be figured out with a little thought. Well thought out story and gameplay. Game is a lot of fun and full of entertainment, the deeper you get into it. The CE vs. SE: CE has morphing objects, making of, replay puzzles and HOS, play new HOS, movies, souvenir shop, pictures (wallpapers, context etc), collectibles and the bonus game. Rated 4 out of 5 by LEIZAP from I really want to give it a 3 1/2 stars... It was good, but (in my opinion) certainly not great! But then, that may be my fault...I played on the simplest level, which made it...well, too simple. Between the map and the sparkles, you just followed the directions, no need to use your brain (or hints) at all! There weren't very many puzzles or mini-games (too bad for me, that's my favorite part). The puzzles that they did have were VERY easy. When I play it again I'll play it on the HARD level, maybe then it will be a 5!! !